No sewing of the stash this week despite the best of intentions. Today was mostly about shopping which was a little different to our usual weekly shop which consists of going to a local fruit and vegetable stall and a few groceries from Aldi. We went a bit further afield – to Caloundra because I wanted to buy some more salmon. It is about 50km round trip so we generally try to make the most of it when we drive that far. After checking the pantry I decided that there was nothing we needed this week from Aldi so we set out on our expedition. The fruit and vegetables were successfully bought then we headed to KMart. This was not quite as good. The gas canister was swapped with far less fuss than last time we wanted one. You can read about that event here. However, they did not have the type of coathangers that I wanted nor any long-handled dustpan and brush. In fact, the selection of household items was very ordinary and there were numerous empty shelves – I am not sure what the reason was. Off to the fish shop for 4 pieces of salmon which makes 8 serves cost just under $40. While this is not spectacularly cheap it is a meal that we really enjoy and is better than paying $30 – $35 for a meal of salmon at a restaurant. 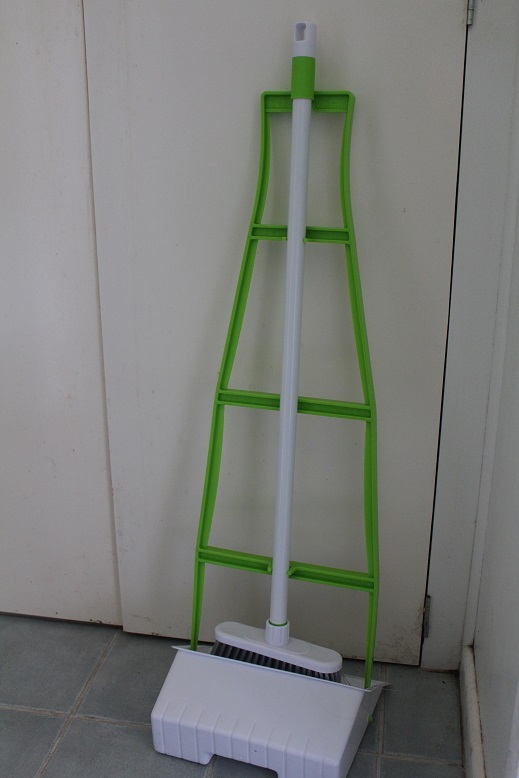 There is a Bunnings hardware across the road from the chemist so we tried for the dustpan and coathangers there. We struck gold with the dustpan but not the coathangers. 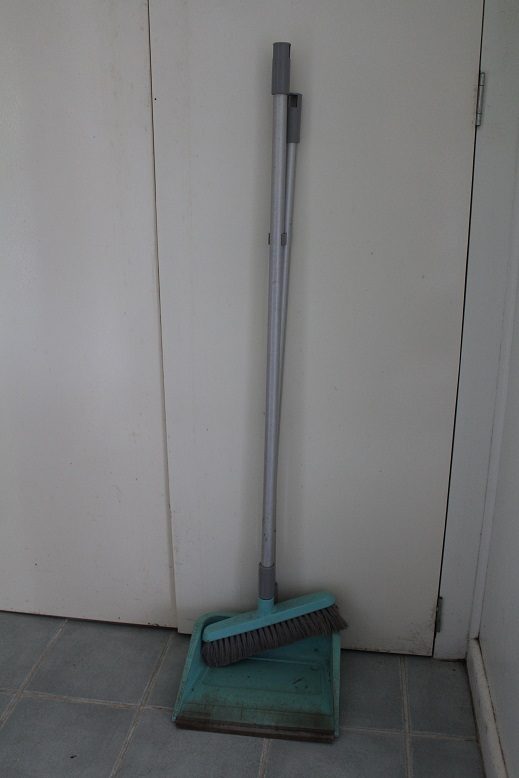 Here is the dustpan. It is the third one I have had in almost 35 years. I bought it to replace this one which has now cracked near the base of the handle. 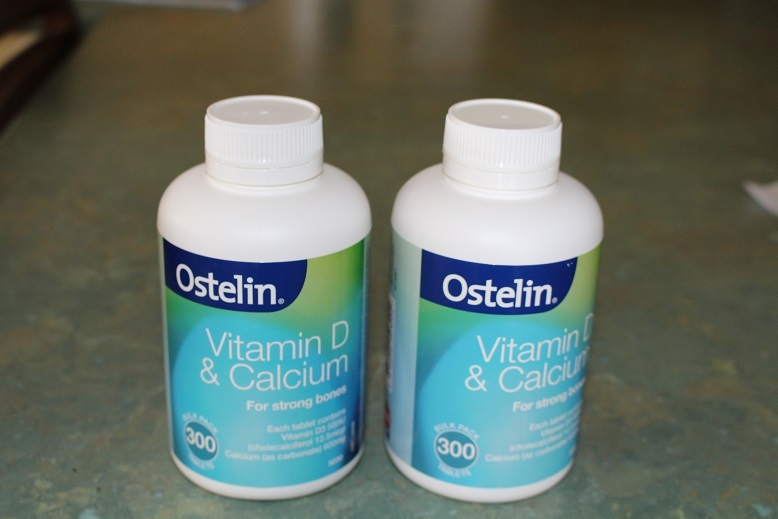 Finally, at the chemist I bought 2 bottles of calcium tablets because they were on special and I made sure they would be used by the expiry date. I won’t need to buy any more for about 20 months! GMan could not find the particular deodorant that he uses so we will look elsewhere. I will keep looking for type of coathangers that I want as well as the deodorant. There is a Big W and Target in Brisbane near my office so I will try to check them out during the week. Speaking of shopping and spending money, I have tallied up our spending for the first 4 months of the year. I will have all of the details for you tomorrow. Home maintenance is an ongoing issue and one with which we have varying degrees of success. On Saturday evening The Duke announced that he would need to go to Bunnings the next day. Bunnings is a chain of large, supermarket-style hardware stores and the nearest one is about a 60km round trip so it is not a matter of jumping in the car and going around the corner. Therefore, we tend to make sure that we get everything we need in one go. We also took the opportunity to go to the fish shop and buy some more salmon. Anyway, off we went to Bunnings and bought a new garden sprayer (the initial reason for the trip), new blades for the Stanley knife, a new garden tap, plumber’s tape and new rollers for the sliding door. 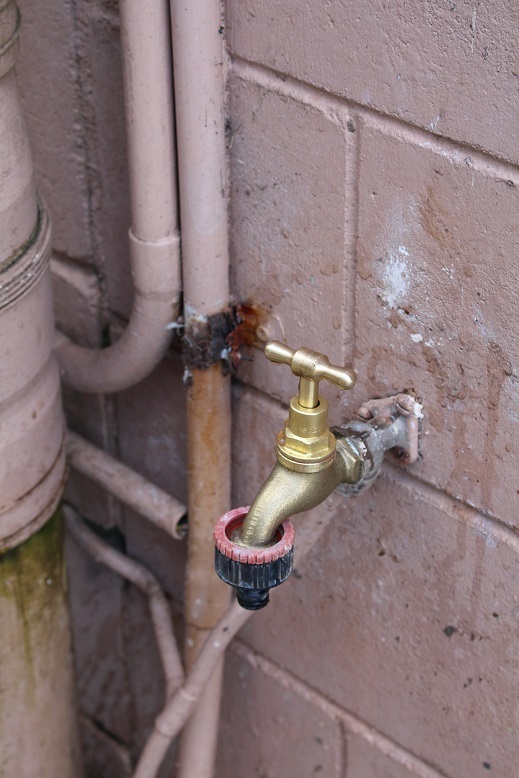 The outdoor tap had been leaking for some time and changing the washer made no difference so The Duke decided it was time for a new tap which proved to be successful. The next project was to install the new roller on the sliding door in the bathroom. We had to remove the timber pelmet which covers the track mechanism. I did not take a photo of the actual tracks but we had to replace one of the rollers as it had broken. 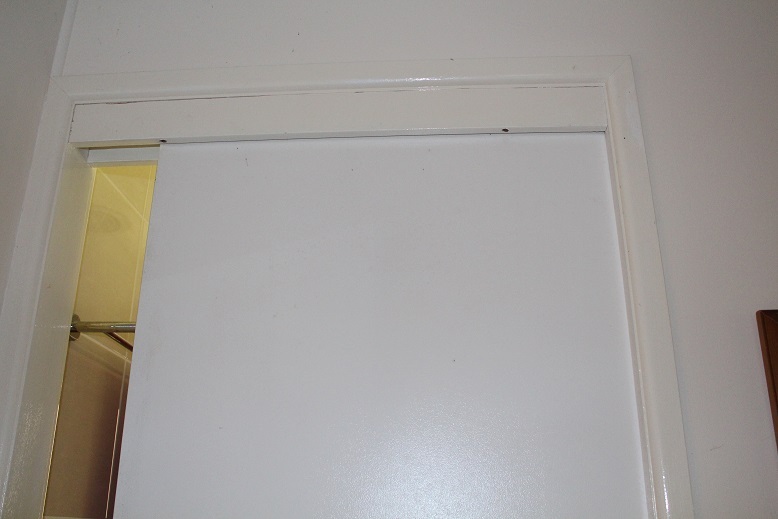 The door could still be used but it did not run smoothly and it was evident that there was a problem. 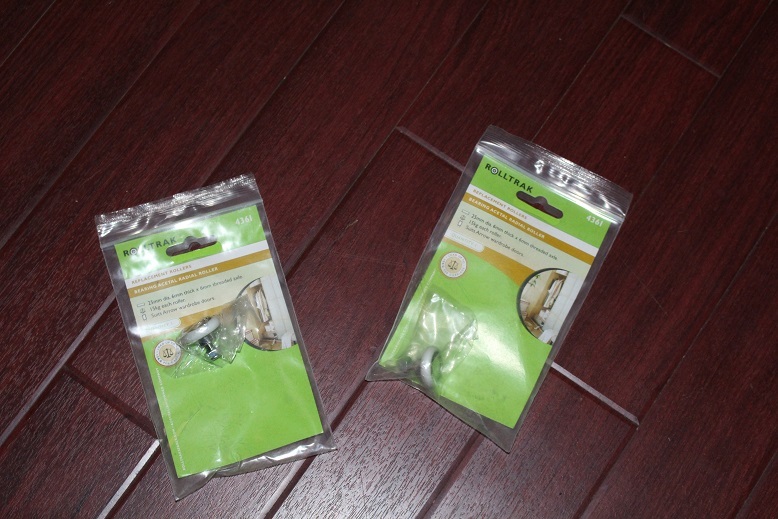 We took the broken piece with us to ensure that we bought the correct sized replacement. They did come as a single item but we decided to buy 2 so that we would have a spare. At $4.00 each it is not a huge investment and we have another in case it is required in the future. Two out of two jobs successfully completed! The Duke and Mr Bunnings worked well together. I think the trick is to know wat jobs are within your capability and what are not. Do you reglarly undertake home maintenance jobs to keep things in working order?